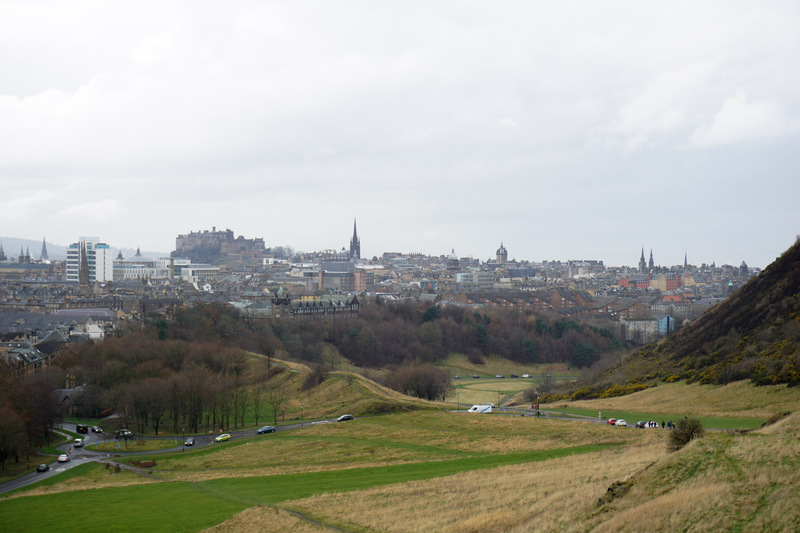 As you could probably deduce from last Monday’s post, we absolutely loved our time in Edinburgh. 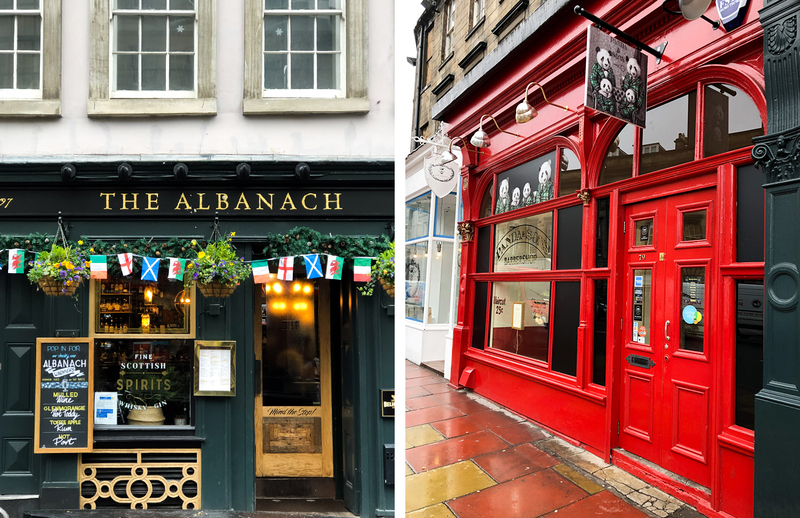 The funny thing is we both expected to feel this way so the bar was definitely high…I feel like I go into some trips expecting to like and hoping to love a place, but J and I both had a really good feeling about Scotland and it definitely lived up to expectations. We’d love to make another trip back sooner rather than later and are looking forward to visiting the Highlands next time around! 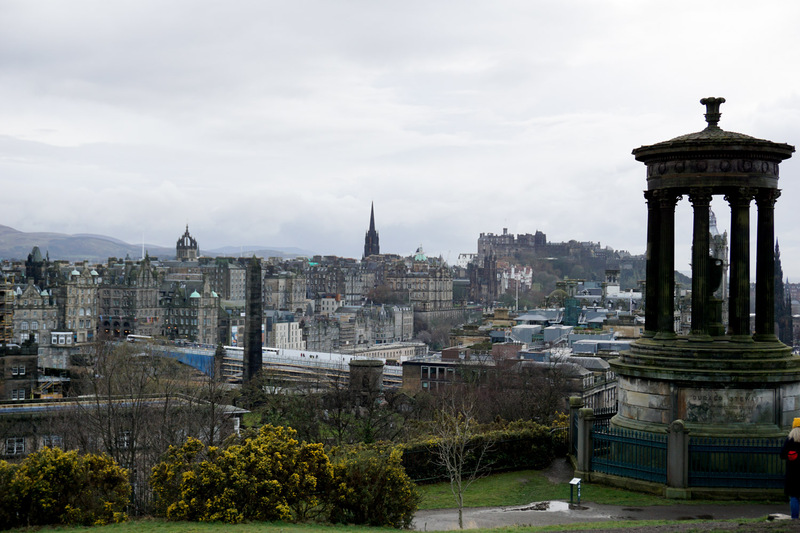 Here’s how we got to Edinburgh from London, and how we spent our ~48ish hours in the city. 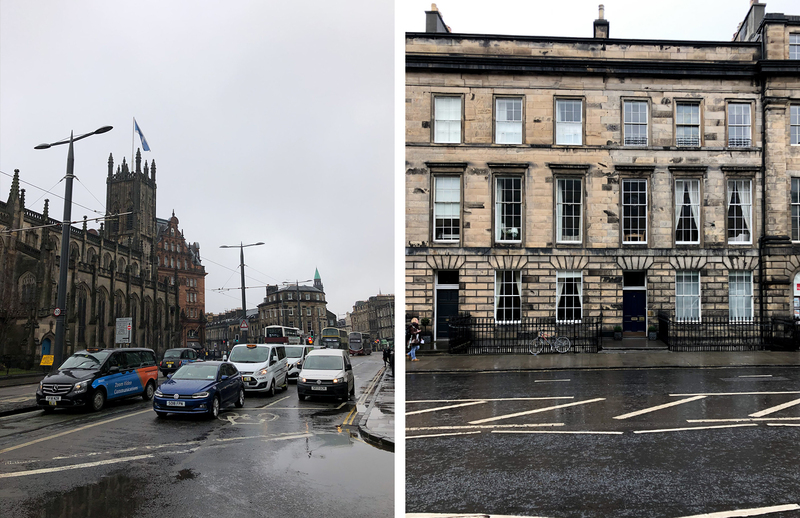 We left London’s Kings Cross train station at 7am on Tuesday morning and arrived at Edinburgh’s Waverley at about 11:30am. We booked our tickets a few weeks before our trip (using Loco2) and paid about $90 per person round trip. While flying would have cost about the same and the actual flight time is just over an hour, we’d have had to get to and from the airport and build in the extra time for security, etc. The train was a no-brainer! 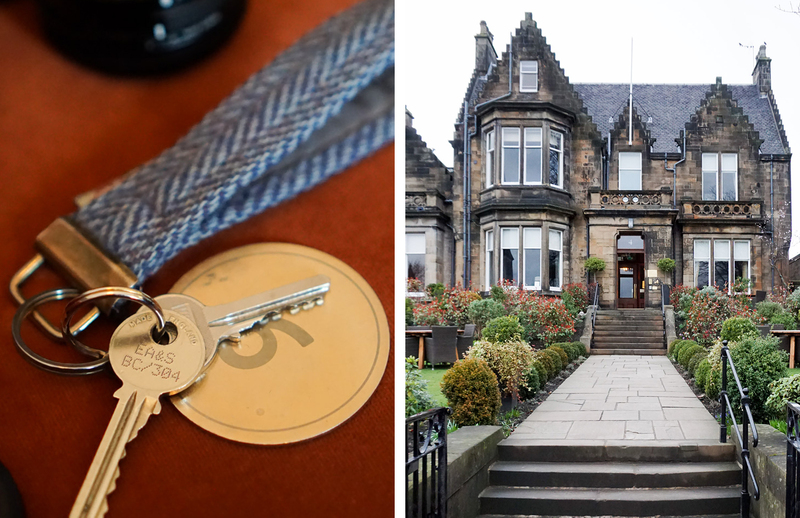 You can read about our stay at Dunstane Houses in this post! 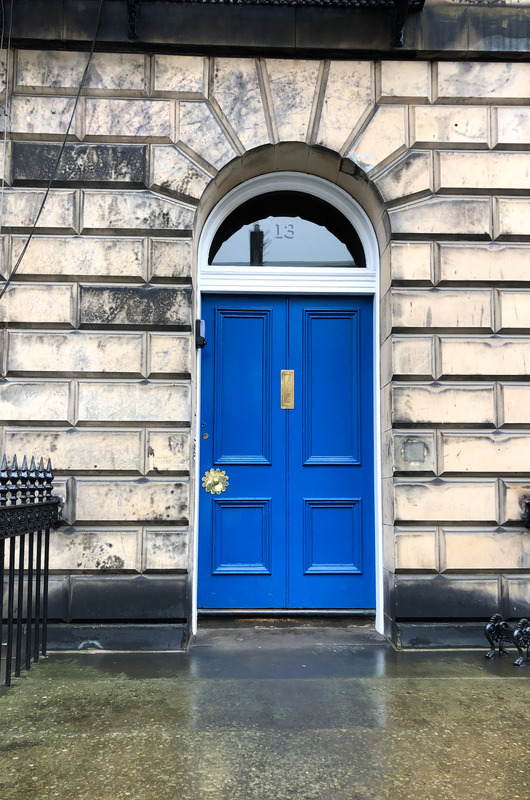 I would highly, highly recommend it–it’s near the Haymarket area and a short 15 minute walk into the most central part of the city. 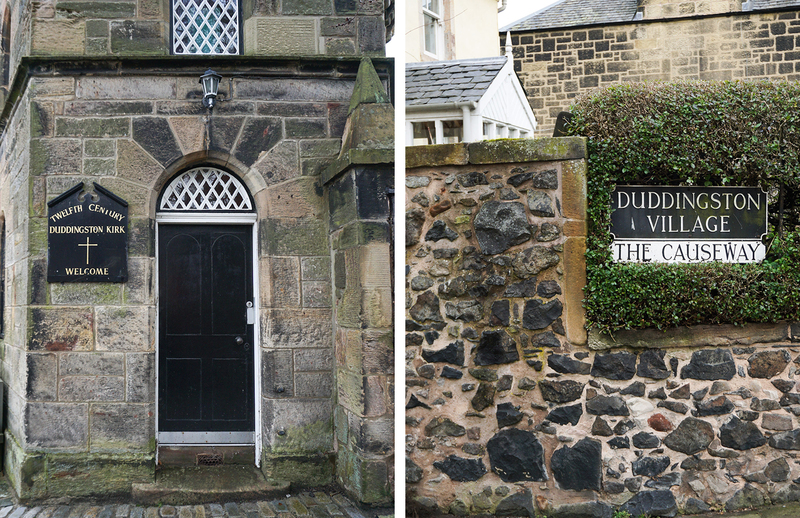 There are a decent number of chain hotels right in the middle but I liked that Dunstane didn’t feel touristy and was full of the charm and unique luxury we wouldn’t have experienced elsewhere. 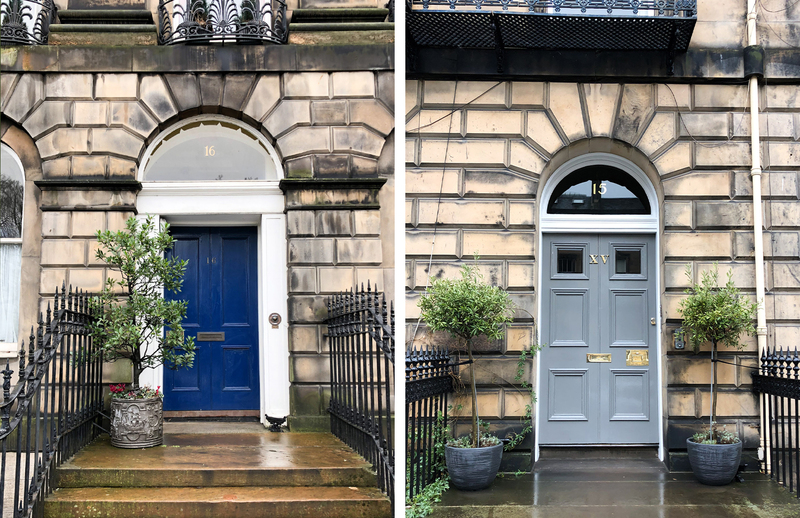 The upside of Edinburgh being so small is that it’s so walkable, so don’t be afraid to book outside of the Royal Mile/castle area. It’s the best way to explore and get acquainted! Tuesday // Our train got in just before noon and we took a local train to the Haymarket stop, which is about a 10 minute walk from The Dunstane. We checked in and met up with Samantha–who manages the hotel–for tea and to get a tour of the property. 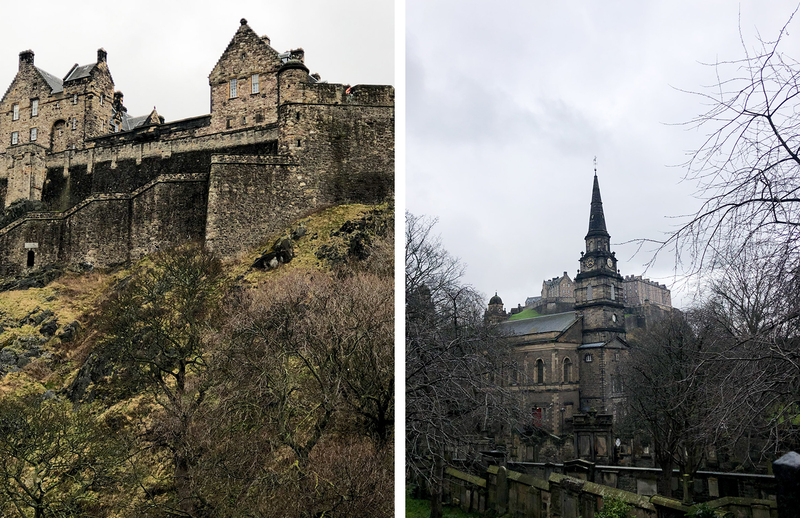 Our original plan for the afternoon was to climb Arthur’s Seat but that wasn’t in the cards thanks to my cold, so we grabbed lunch at Grams and walked over to Prince Street (which has great views of the Castle) to stroll around and pop into some shops. 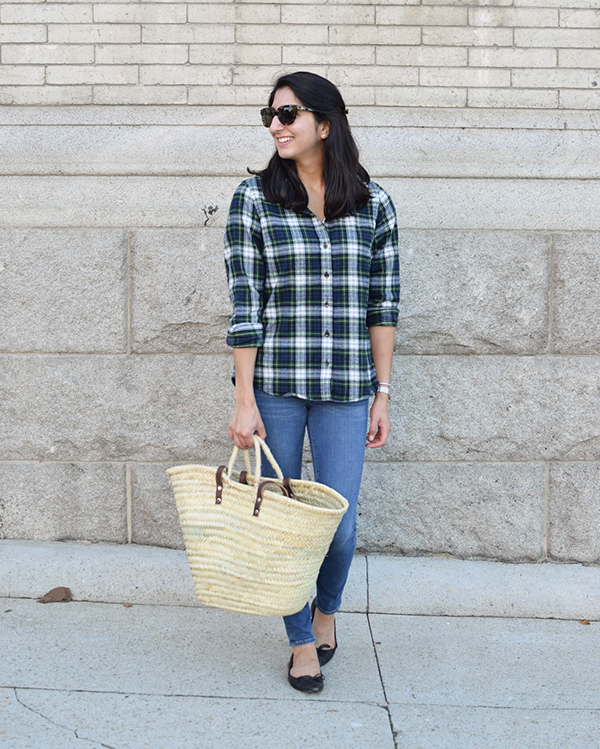 If you’re a Barbour fan, prices in the UK are about half of what they are in the US once you get your VAT refund, so it was fun to take advantage of that while we were in town! I was feeling pretty under the weather so we walked back to the hotel for dinner at the bar and called it an early night. 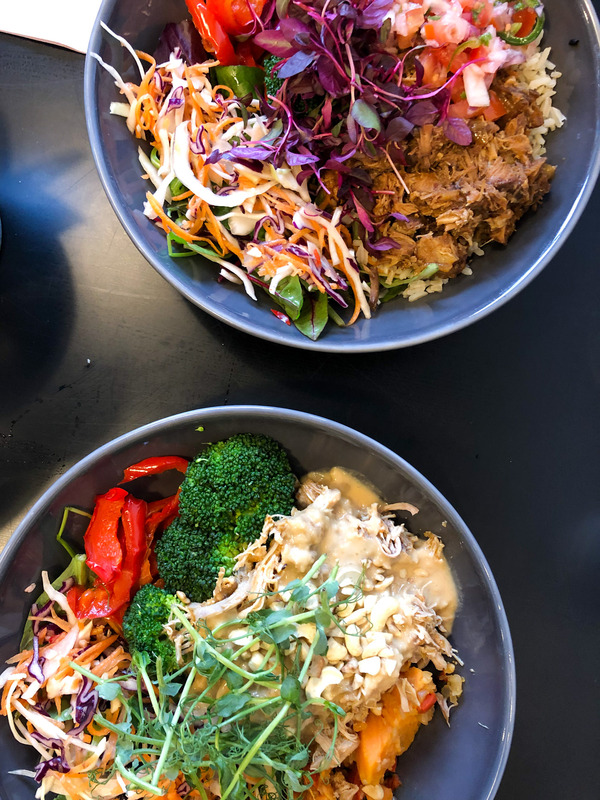 Bowls at Grams–a much needed, vegetable and protein-filled meal! Wednesday // Like I’ve mentioned before, we typically hit the ground running first thing in the morning but I wanted to get enough rest as possible this time around! 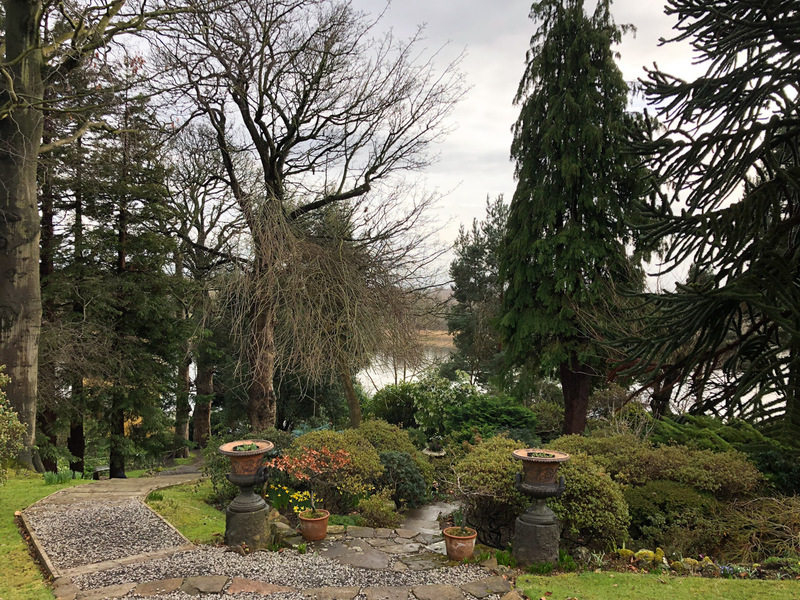 We had a nice leisurely breakfast at the hotel and walked over to Stewart Christie, which was recommended by one of Serena’s close friends who lives in Edinburgh. We’d always planned to pick up a couple local knits, so J got a Harris Tweed blazer and I got a chunky gray wool turtleneck sweater and a pair of Dubarry boots. 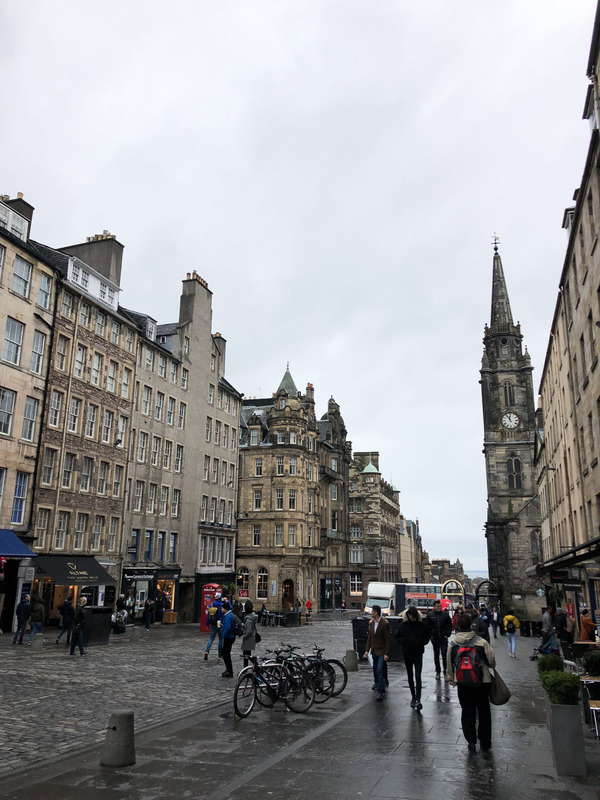 More on this in a minute, but there are also several shops to buy authentic Scottish wool and cashmere on the Royal Mile…we were open to splurging a bit and I was really happy we went to Stewart Christie instead. 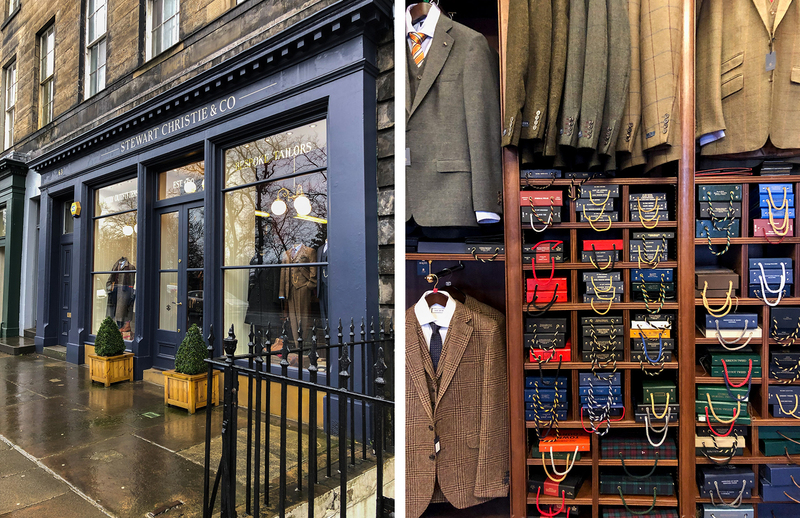 It’s a 300+ year-old tailor and you definitely get what you pay for–it was well worth it for the quality, service, and selection. 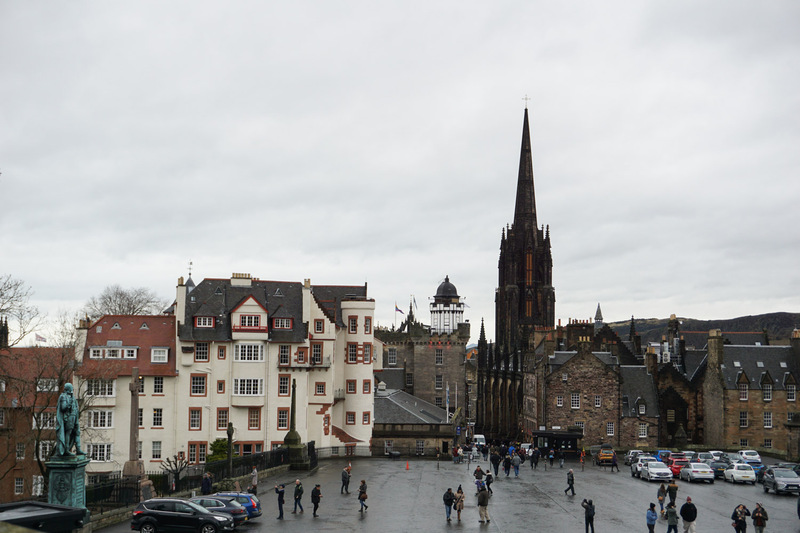 However, there are definitely some gems on the Royal Mile if you’re watching your budget…I’ll elaborate below! After shopping, we walked back to the hotel (with a pit stop to pick up a sandwich + chips for a snack) to met up with Rowan, our tour guide for the day! When we met with Samantha on Tuesday, she’d mentioned Mini Mack Tours, a local tour company run by two brothers, Rowan and Andy. 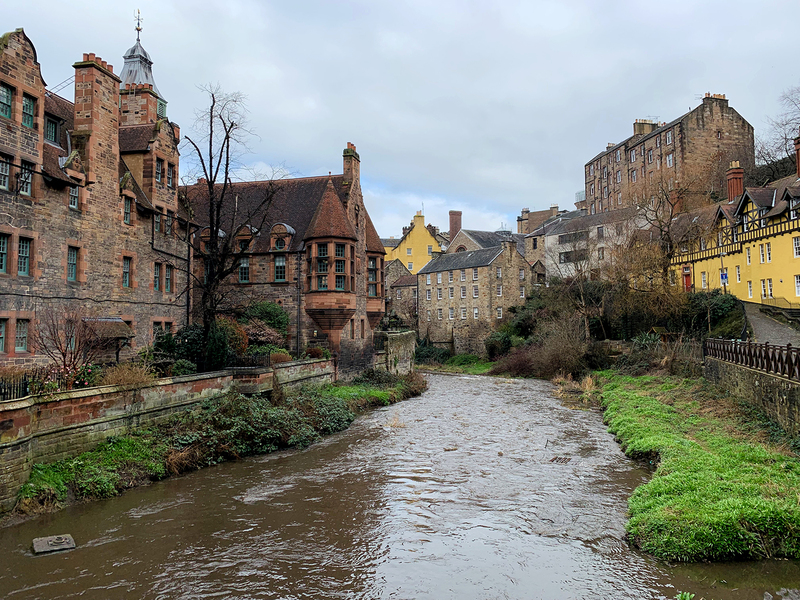 They do private tours of Edinburgh in Mini Coopers and since I wasn’t up for all the walking we’d originally planned for, we thought their three hour tour would be a great way to catch all the sights. It was the best decision! 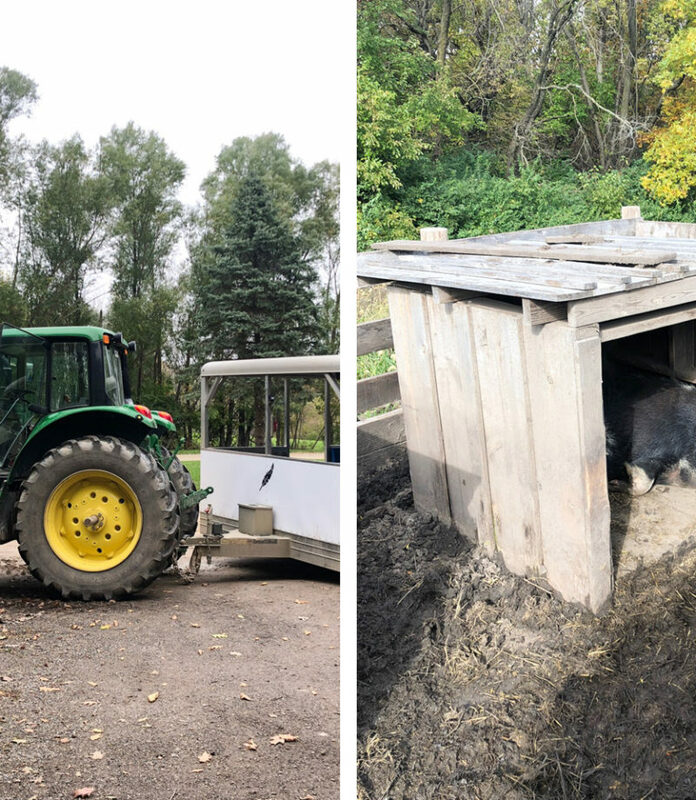 I cannot recommend Mini Mack enough–we saw everything (see pics below…and they’ll take special requests + customize the route based on your preferences) and Rowan was probably the best guide I’ve ever met. 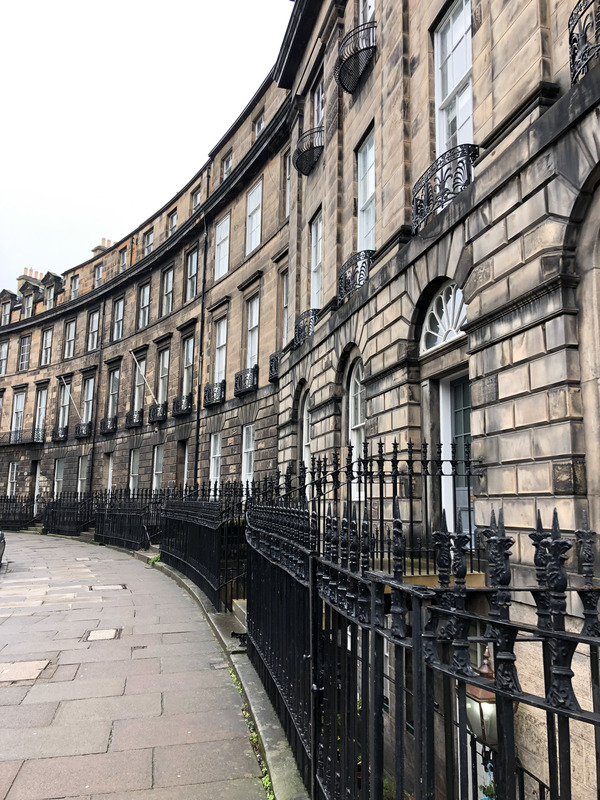 Our tour included Arthur’s Seat, Dr. Neil’s Garden (a hidden gem), Calton Hill, some of the more residential neighborhoods in the city, and driving by many other notable sights. 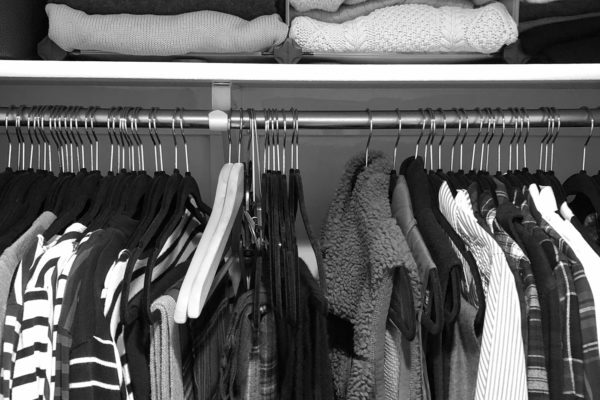 If you’re looking for a way to see everything without much walking or are in town for a very short time and want to pack everything in (or if you just want to treat yourself! ), this is 100% the way to go. 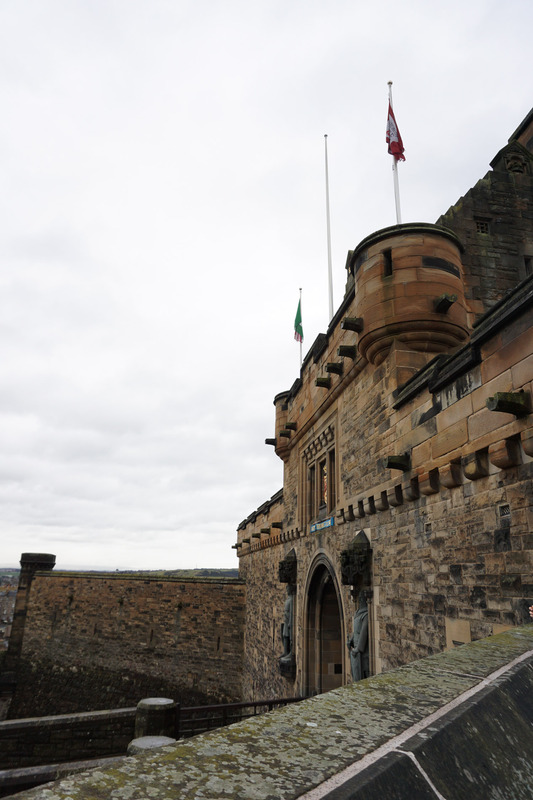 They have several tour options including day trips to St. Andrews and the Highlands! Rowan dropped us off at the hotel and we freshened up before making our way to Panda & Sons for drinks, followed by The Outsider for dinner. 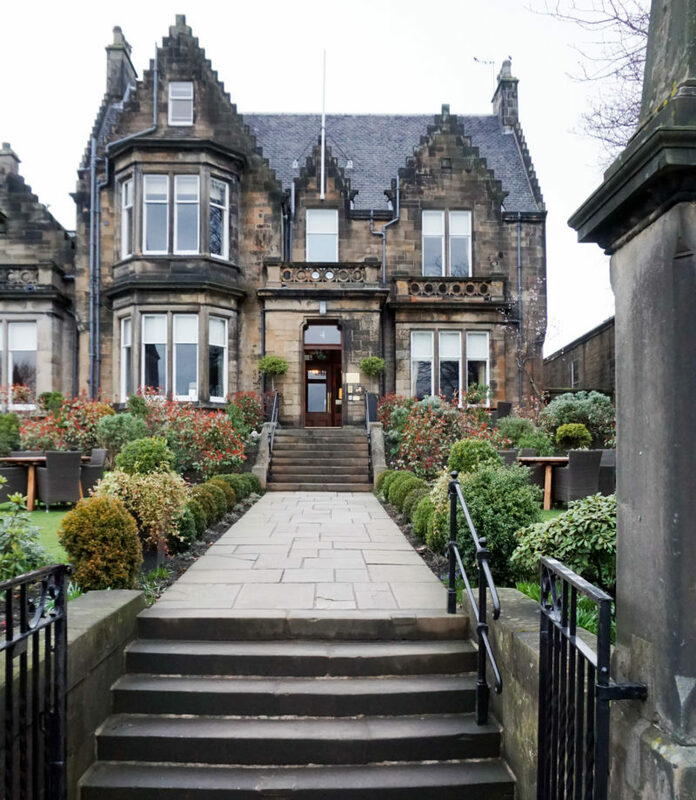 The oldest pub in Edinburgh–if we’d climbed Arthur’s Seat, we were going to eat here, too. But we just stopped in for a drink on our Mini Mack Tour! We walked back towards the hotel and stopped at The Jolly Botanist for lunch before grabbing our bags and heading to the train station! 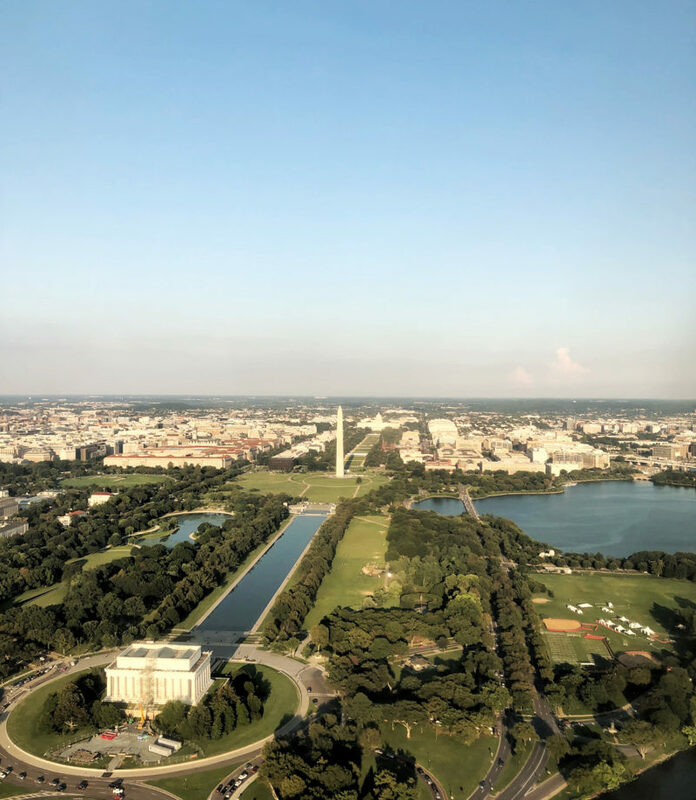 One of my favorite things was how much of the city we saw just by walking to and from our hotel…we literally took a different route every time and it allowed us to see so much of the city! 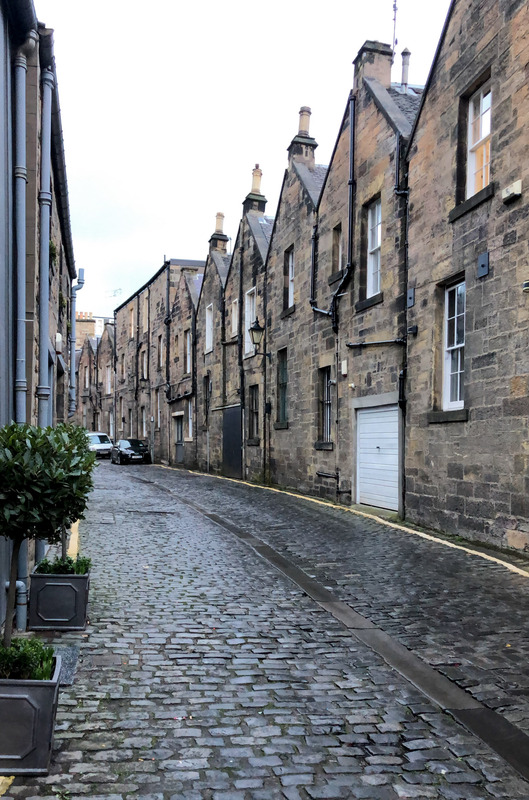 What upset me most about feeling under the weathering during our trip was that I couldn’t indulge in all the gin + whiskey Edinburgh has to offer! I’d picked out a few places to try but unfortunately we ended up missing most of them since I was feeling pretty run down and wasn’t up for any late nights. 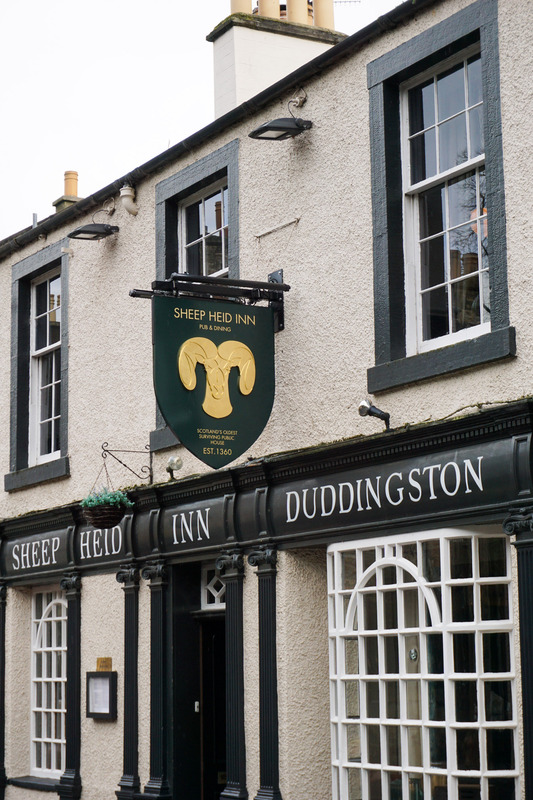 The Sheep Heid Inn: This was on my original itinerary as our post-Arthur’s seat stop, but we ended up hitting it for a quick drink during our Mini Mack tour right after we drove up Arthur’s. Ba’Bar at Dustane: We had a great dinner here Tuesday night–We had the “A Wee Taste of Scotland” (a little authentic platter of Scottish food), I had a burger, and J got the salmon fishcakes. I somehow resisted dessert so we took some shortbread up to our room for dessert! Panda & Sons: Naturally I found the panda bar! It’s a little speakeasy (coincidentally right by Stewart Christie, where we’d shopped that morning) and there were still a few tables left when we got there around 5:45pm. It’s apparently quite popular so consider going on the early side or be prepared to wait! I had a hot toddy and J their twist on a whiskey and water. They also serve a drink in a takeout box and I kind of wish one of us had tried that for the sake of novelty! 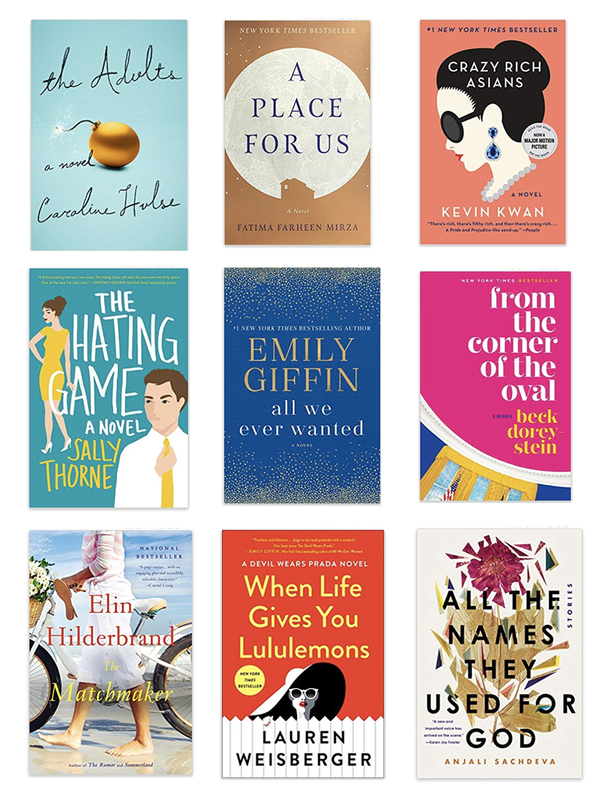 The Outsider: A recommendation from two people so we had to try it out! It’s a modern, fairly upscale restaurant with great views of the castle through the back window (ask to be seated there!). The food was pretty good but they also serve lunch, and for the price I wish we’d done that instead. The Jolly Botanist: My original plan was to have us go here for lunch when we first got in on Tuesday (there really seemed like no better way to kick off our time in Edinburgh than to go a bar specializing in gin cocktails) but I’m glad we were able to make it our last stop before heading out on Tuesday! They have a great lunch special, and we essentially had fish and chips with a salad for 7 pounds (it was smaller pieces of fish on an open-faced sandwich, but very similar and worth the significant cost savings) followed by sticky toffee pudding. I stole some sips of J’s cocktail–it was great, and the staff was so, so nice. I’d highly recommend it as a pub if you’re in the Haymarket area of the city or are willing to venture ~10 minutes! This is mainly due to our short trip + my not feeling well, but next time we’re in town, I want to make sure I take full advantage of the gin + scotch offerings (there are so many and it pained me to be sticking with hot water + lemon most of the time), explore the Stockbridge neighborhood, make it to St. Andrews, and climb Arthur’s Seat. 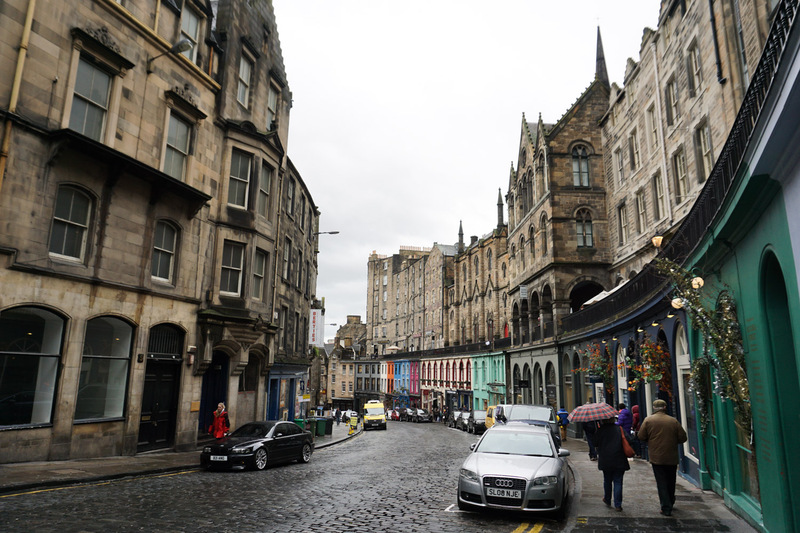 Again, Edinburgh is a small city so it’s easy to pack a lot in, but there are always more bars, restaurants, and neighborhoods to explore! + Try to set up contactless payment with your credit card! Not all US cards offer it but if yours does, it’ll make paying for things so much easier. + If you have a national train ticket (like we did from London’s Kings Cross to Edinburgh’s Waverley), you can ride the local train for free! On the way in, just look for a local train based on your destination–we used Google Maps, but you could easily ask someone at the station–and you’ll have to insert your ticket into the machine to exit. On the way back to Waverley, show the attendant by the gates your ticket (don’t insert it because it’ll probably get swallowed up by the machine!) and they’ll let you through so you can hop on a local train to Waverley and go straight to whatever platform your national train departs from. + Consider grabbing food at the train station–the options are way better than what we have in the US! 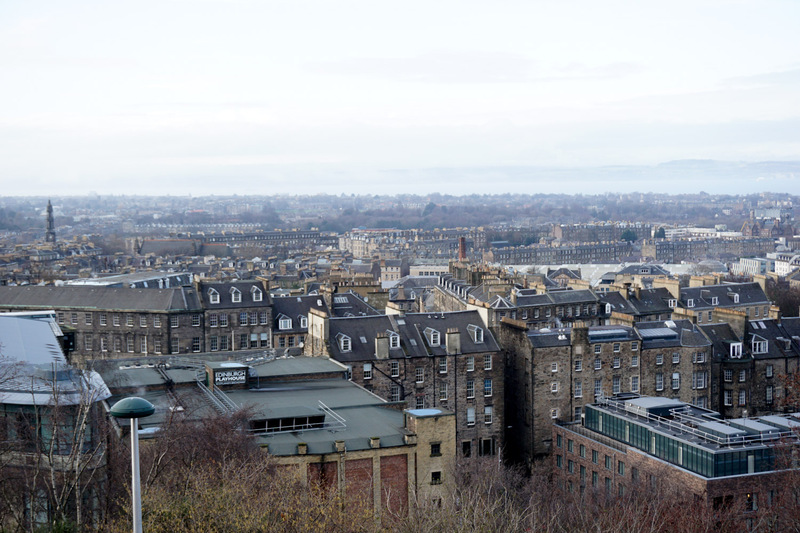 Waverley has tons of options including a Pret and best of all, a Marks & Spencer food store. We picked up sandwiches from each twice during our trip–once when we needed something to tide us over after a huge breakfast pre-dinner, and the second time before our train to London. The UK is notoriously pricey but the sandwiches are so good for the price…both of us could eat a [albeit simple] meal for $6 total! 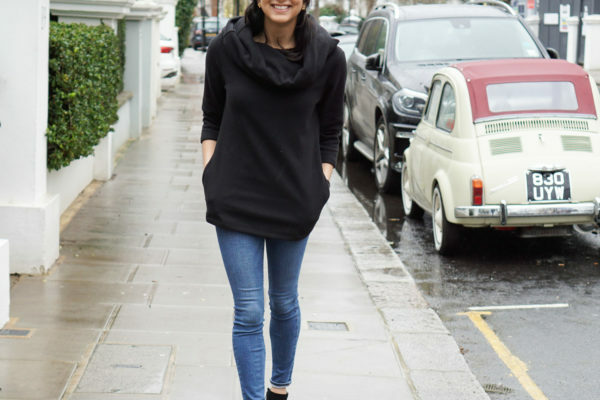 If you have any questions, feel free to comment below or drop me a line at monica@monicadutia.com!